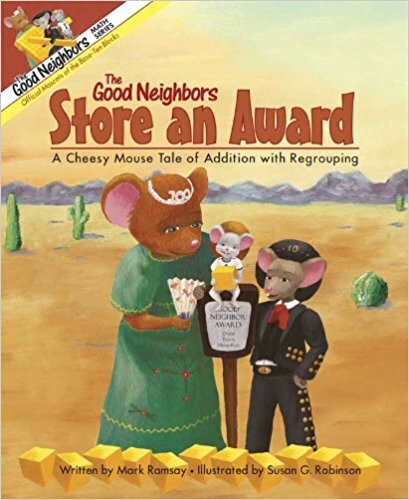 When The Good Neighbors each receive a cheesy award, some of the mice discover that they do not have enough room to store it all safely inside their houses. Can The Good Neighbors work together to solve their cheese storage problem? The mice's story models the addition with regrouping process as demonstrated with base ten blocks - the only book to teach the addition algorithm with base ten visual models.